Tired of being gouged by cell phone carriers? The carriers had quite a run, didn’t they, where they essentially trained their customers to purchase smartphones on contract, over time. Sure, we got the instant gratification of walking away with a new phone, but we paid for it, big time, in the long-term. There is good news, finally! Carrier-subsidized phones and two-year cell phone contracts appear to be going the way of the dinosaur, and not a moment too soon. It’s a new world with more flexibility and options for consumers. Nowadays, you don’t need to get your new phone from one of the big carriers – you can go indi. In this new world, there’s a new vocabulary too. 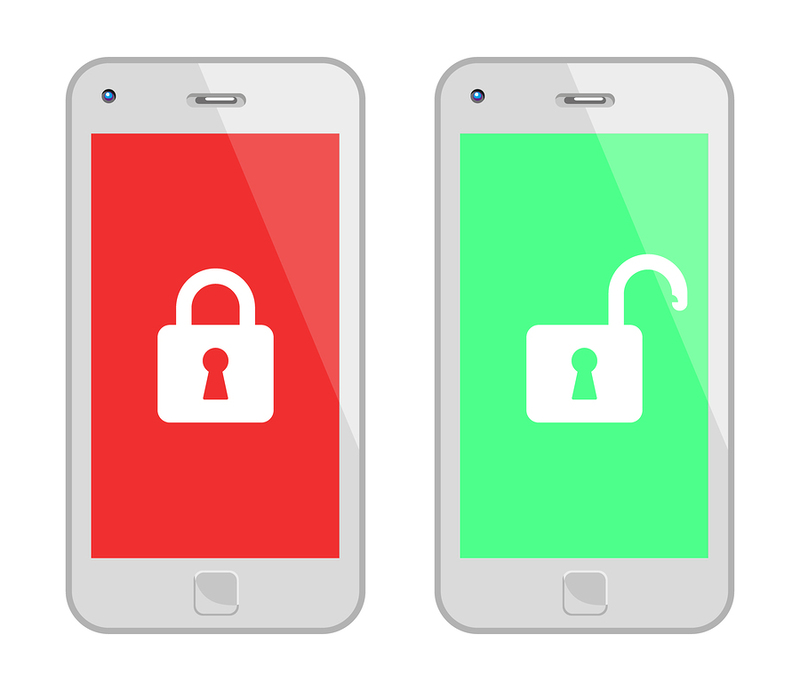 For starters, you need to know the difference between a locked phone and an unlocked phone. The phone you got from your carrier is a locked phone. It includes a SIM card that works only in the cellular carrier’s network, and it used to come with a contract that you agreed to, if reluctantly. (What other option did you have?) Said phone would become unlocked once the contract period was over, and the carrier had recouped the money it spent subsidizing your new smartphone. By contrast, an unlocked phone is not tied to a specific carrier network. It is “carrier-agnostic.” What this means is that it can be used with any cellular carrier that utilizes GSM (Global System for Mobile Communications). And best of all, an unlocked phone does not come with a contract, which makes it a very popular option for people that have commitment-phobia, or just like to keep their options open. So, will it be locked or unlocked? We would never think of telling you what to do, but because we feel strongly about this issue, we’re going to um tell you what to do. Let’s just say that you would be very smart to never buy a locked phone again for the rest of your life. Don’t do it. Please, we beg of you. When you get your phone indi-style, you become a free agent. It’s the freedom to flee your carrier whenever you choose for a better one, to upgrade without waiting until your contract period is over, or to sell your phone for fast cash. With an unlocked phone, you have more control over what apps run on your phone. This is because your phone carrier has not pre-programmed your device, as is the case with locked phones. This gives you more flexibility to personally dictate the features and to customize the look and feel of your phone. Go unlocked and flex your freedom! When you buy an unlocked phone, the price is the price. It’s not hidden or bundled with other fees. You know what you’re paying and what you’re getting. As a consumer, when it comes to price, you deserve total transparency. And if that price is more than you can afford in one payment, not to worry. In this new world, payment options abound. If you buy your phone direct from the manufacturer or through a retailer, they can hook you up with a financing plan, just like the carriers. Also, installment payment plans for unlocked phones are becoming more common — even Apple is getting into the act. When you buy an unlocked phone, you may spend a little more cash up front, but now you own the phone as opposed to the carrier. And in the long run, you will save money, because you won’t be paying inflated monthly fees. This is preferable to the way it used to be, when true ownership didn’t kick in until the contract ended in two years. By then, of course, your phone had seriously depreciated and lost value. The thing about locked, carrier-based phones is that they are programmed to work with one and only one network. This, of course, can be a major headache for people who travel a lot. With an unlocked phone, you can transition to any GSM (Global System for Mobile Communications) network when you are out of your provider’s coverage area, essentially giving you continuous, uninterrupted coverage nationally and internationally. No one ever wants to lose a phone, but if you do, you’d rather it be an unlocked phone. If you send your unlocked phone in for repair, or get a new one, not to worry – simply remove the SIM card and insert it in another unlocked phone, and you’re good to go. It’s a fast and seamless transition. If your phone is not able to be resuscitated, you can find another unlocked phone for a price that won’t break the bank. With an unlocked iPhone, you can travel abroad and pay no roaming fees! They add up fast, and the way to get around them is by getting a SIM card from the carrier in the locale you’re visiting. They’ll provide you with a local phone number, and you’ll pay only the local rate for calls and messages, without the extra burden of roaming charges. Of all the annoyances in the world, carrier updates are right up there, along with the uncle who likes to pontificate about politics after a wee too much egg nog. Who wouldn’t want to be rid of the useless bloatware and pre-installed software that hogs a good amount of storage space and makes your device as slow as a snail? Will you miss the extra features and apps that are routinely updated, which you don’t particularly want or need (no wonder it takes an eternity to complete the update process!) We say, go unlocked and prepare for a faster and cleaner smartphone experience! 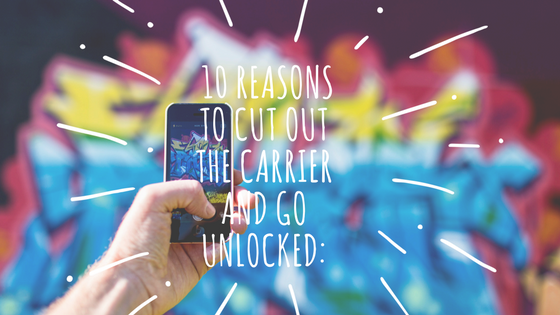 When you cut out the carrier and go for an unlocked phone, your options multiply! Now you can choose from almost all the smartphones that are out there. You can even buy flagship phones not offered by the carriers. If you’re a gadget aficionado who likes to stay up-to-date, an unlocked phone is the way to go. 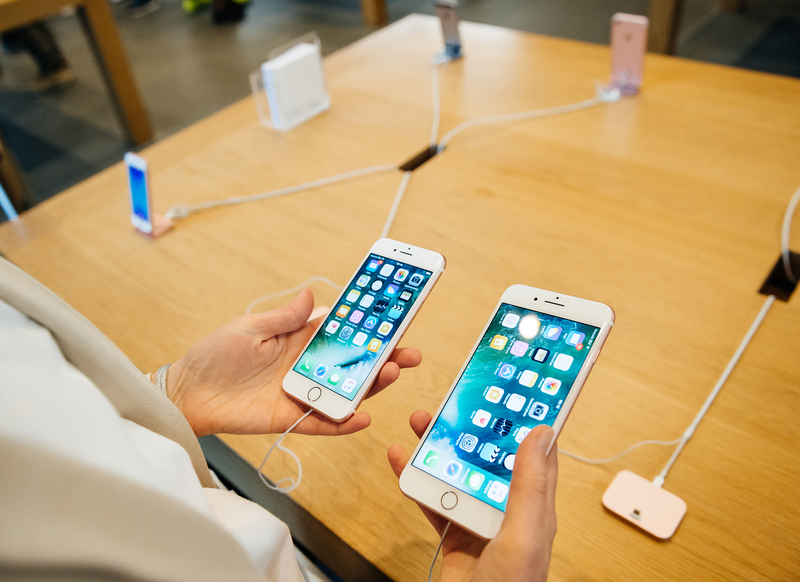 You can switch to a new device easily without having to get a new phone number and new plan. But do your research. Always check network compatibility first, since not all unlocked phones work with every network. Sure, an iPhone might work on just about every carrier out there, but that’s not the case with all phones. Unlocked phones are a high-value, high-demand product with great resale potential. Gazelle buys large numbers of unlocked phones from customers just like you, and almost always they command a higher price than carrier-based phones. A locked phone tied to AT&T would have a much smaller pool of interested buyers – essentially limited to AT&T subscribers. An unlocked phone? Your audience is much broader. And very motivated. When you cut out the carrier, it frees you up to shop around for the best price on the hardware you want! You can buy a brand-new flagship phone or save big-time by purchasing a certified pre-owned phone from Gazelle. All our certified phones pass a 30-point inspection performed by our highly-trained technicians. When you buy a certified pre-owned phone from Gazelle, you’re receiving an unlocked phone that is virtually brand-new, but for a fraction of the price and with zero risk. You have 30 days to try it out – send it back for any reason and we’ll refund your money. Carrier-agnostic devices that work on all networks are growing in popularity, and will soon become the norm. Apple, Google, and Motorola are already ahead of the curve, manufacturing handsets that are sold directly to consumers, who are then able to choose which carrier they want to use. Apple offers a carrier-agnostic SIM card, called Apple SIM, for some of its iPads, enabling you to select the carrier you want to use. The world is changing, the playing field is leveling, and freedom – at least in the cell-phone world – is spreading. It’s a good time to be a consumer. The carriers had their day in the sun. But today, with all the options out there, it’s incredibly hard to make the case for buying a carrier-tied phone. An unlocked phone simply presents too many advantages. Select your carrier with the price and plan that’s right for you. Buy an unlocked device of your choosing, and voila, you’re good to go. If you find a carrier with a better offering, then take your unlocked phone and join the other team. Remember, you are a free agent, and now it really is about you! That said, there’s no guarantee that the carriers won’t back pedal. They could easily bring back contracts again. The way to persuade them not to is for consumers to purchase unlocked phones on a massive level. That will show them that we mean business, and that they can never go back again.